The 2013 Asian American International Film Festival (AAIFF), which will run from July 24 to August 3, 2013. This year AAIFF is presenting 26 feature films and 44 short films, for, by and about Asians and Asian Americans, with works from or featuring characters from 18 countries including Australia, Canada, China, Hong Kong, India, Indonesia, Israel, Japan, Korea, Malaysia, Nepal, Pakistan, The Philippines, Singapore, Taiwan, Turkey, UK, and the USA. Of the feature films one will be making a World Premiere, one will be making an International Premiere, six will be making a U.S. Premiere, seven an East Coast Premiere, and eight a New York Premiere. With the themes of Asian American Achievements, Exploring Asian Filmscapes, LGBTQ spotlights, Taiwan Cinema Days and a tribute to Philippine filmmaker Marilou DIAZ-ABAYA (1955-2012) as well as other female filmmakers, the 36th Asian American International Film Festival aims at giving the audiences a comprehensive picture of the Asian and Asian American independent cinemas. Screenings will be held at the Anthology Film Archives (32 Second Avenue), Asia Society (725 Park Avenue), Museum of Chinese in America (215 Centre Street), and New York Institute of Technology (1871 Broadway). Other films of note include : STEVE CHONG FINDS OUT THAT SUICIDE IS A BAD IDEA, CHINK, BEYOND THE MAT, HAFU: THE MIXED-RACE EXPERIENCE IN JAPAN, SOMEONE I USED TO KNOW. Also don’t miss out on plenty of workshops and other special events. You can get more information and tickets here. This entry was posted in events, filmfestival, movies, new york on July 15, 2013 by Kevin Hsieh - channel APA. Far East Movement, the phenomenon that exploded on the American music scene and broke barriers is coming to Macy’s! The group is the face of Macy’s Asian Pacific American Heritage Month celebration. They’ll be dropping by stores across the country to give a live performance and chat about how their culture has influenced their musical style. Come meet them at your local Macy’s! Don’t miss the excitment! they’ll be celebrating Asian Pacific American Heritage Month all month long at a Macy’s near you. Come be a part of the movement and experience Far East Movement in their very own Macy’s listening party where they’ll perform their latest music! Raised in Downtown Los Angeles, Cherrytree recording group Far East Movement (Kev Nish, Prohgress, J-Splif, and DJ Virman) embody the pulse of contemporary LA. They paid their dues at local clubs, expanding their fan base until they became city-wide stars in the wake of their first LA chart-topping pop hit, “Girls on the Dance Floor.” They made history on their debut album Free Wired when 2010’s multi-platinum selling single “Like a G6” became the first #1 Billboard Hot 100 song ever achieved by an Asian-American group. And followed with another Billboard Top 10 smash “Rocketeer.” Their sophomore album Dirty Bass features the international smash “Live My Life,” an anthemic all-night dance party featuring Justin Bieber, that reached Top 20 on Billboard and #2 on iTunes almost instantly. Their latest Dirty Bass single “Turn Up The Love” hit Top 10 in 10 countries and achieved over 50 million views on VEVO/YouTube. This entry was posted in chicago, events, los angeles, music, new york, san francisco, texas on May 7, 2013 by Kevin Hsieh - channel APA. Hey New York City, do YOU have what it takes to be the next Kollaboration Star? Kollaboration is constantly on the lookout for the nation’s top performers, hidden talents and undiscovered superstars extraordinaire. If you’re a student by day and a crooner by night; an office worker by trade but a mesmerizing dancer on sight, then we want YOU. Whether you’re a singer, a dancer, a spoken word poet, a hip-hop violinist, or have the next big underground hidden talent, you can gain the exposure and experience you’ve always wanted via the Kollaboration New York September talent showcase — not to mention a chance to secure a spot at the Kollaboration Star Finale in Los Angeles, where finalists from across the nation will compete for a $20,000 grand prize! To register and audition, please go here. Applications are due no later than April 30, 2013 at 11:59 p.m. EST. This entry was posted in events, new york on April 27, 2013 by Kevin Hsieh - channel APA. Within. At the 2013 Conference, we want to take a step back and examine the state of the APA community. We want to encourage reflection on what it means to be Asian American, expose the multidimensional nature of the APA experience, and inspire our peers to act upon what they feel, think and experience as members of the APA community. Across. There exists strength in numbers. This conference aims to increase dialogue between individuals of different cultural identities, from different geographical locations and with different experiences. We hope to build connections and form coalitions across perceived boundaries. Beyond. The Asian American identity is one that is constantly being recreated and we are the generation to build it. We aim to have students reflect on what they can do for their community and encourage the APA community to explore ideas and opportunities beyond the traditional and established. We want our attendees to think critically and leave knowing they speak with the intention of being heard. This year, they’re excited to present a fantastic lineup of performers and speakers, including major Asian American artists such as JASON CHEN, DAVID SO and CLARA C, and influential figures such as NORMAN MINETA, RICHARD LUI and MIA MINGUS. In addition, we’ll be featuring over forty-five workshops covering topics such as the Bamboo Ceiling, the DREAM Act, the Model Minority Myth, Remembering Danny Chen, and more. Finally, conference attendees will have the opportunity to attend ECAASU in the vibrant and exciting New York City. With guests staying in the luxurious Hudson Hotel, and gala and after-party venues in the heart of Manhattan, students will experience ECAASU not only in Columbia, but also in the city that never sleeps. This entry was posted in events, new york on February 5, 2013 by Kevin Hsieh - channel APA. Chef Lee Anne Wong has a lifelong passion for exploring, learning and savoring Asian food. Sometimes a simple craving for a bowl of noodles is all the motivation she needs to hit the town and search for delicious eats. In this one hour special “Food Crawl with Lee Anne Wong”, she goes on a food crawl for the best dumplings and noodles New York has to offer. Her eating tour takes her to the historic Chinatowns in Manhattan and Queens, as well as the up and coming food neighborhoods in Williamsburg and Park Slope. Lee Anne visits legendary Vanessa’s Dumplings where the choices for dumplings are high and the prices are low. It’s a fun lesson filled with a lot of laughs while learning how to make hand-torn noodles at Biang! in Flushing, Queens. At Williamsburg’s Smorgasburg, Lee Anne indulges at two innovative food stalls for the best cold Chinese sesame noodles and mazeman which is cold Japanese ramen noodles. This delicious food crawl features families who have made culinary marks, as well as the next generation of inspired cooks who continue to celebrate Asian cuisine. The flagship restaurant for the Xi’an Famous Foods empire. The food is authentic Xi’an cuisine featuring the infamous handpulled noodles in lamb broth! New Yorkers seek out these authentic handmade, Beijing-style dumplings. They are simply amongst the best in the city! Yuji introduces ramen lovers to the brothless mazemen-style while using regional and seasonal ingredients in innovative ways. Casey and Gilley Tang bring back their grandfathers’ beloved Cold Sesame Noodles. When you enter this Polynesian-Supper Club, you enter a new world. The drinks are served in whole fruit, the food is nuevo pan-Asian and everyone is having a great time! Chef Dale Talde has created a local restaurant with an Asian-American menu that marries authentic dishes with a nostalgic twist. This entry was posted in food, new york, tv on February 2, 2013 by Kevin Hsieh - channel APA. There were many unexpected surprises in 2012 for Asians and Asian Americans in entertainment. We saw both tears of sadness and joy. Our hearts were broken in early 2012 with the story of Janet Liang as well as school yard bullying caught on tape. We witnessed global phenomenons from Jeremy Lin and PSY along with the long-awaited and often-feared K-Town Reality Show. Thanks to all the fans, followers, supporters, the people we interviewed and the people behind the scenes of channelAPA.com. Here’s a recap of the top videos for 2012 on our site. 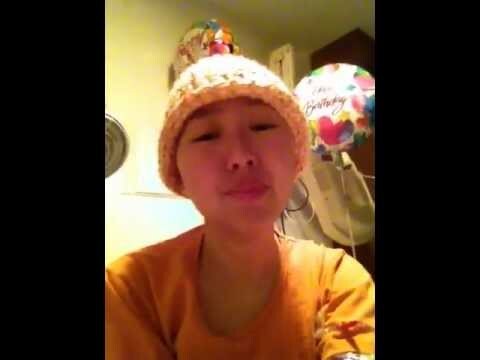 Easily the most heartbreaking video of 2012 was Janet Liang’s personal plea to find a bone marrow donor match in her battle with acute lymphoblastic leukemia (ALL). The Asian American community came out to support her cause (White Frog cast PSA from Janet Liang and Asian Americans Helping Janet Liang). channelAPA.com even had a chance to meet her in person at a YTF concert in the San Francisco Bay Area. The views skyrocketed on our site when Jeremy Lin retweeted out post at the height of Linsanity. In June 2012, she found a match and by September, she got her bone marrow transplant. A week later, Janet Liang passed away. We’re saddened by the lose, but she opened our eyes to the importance of Asian American bone marrow registration. In mid-September 2012 along with other Asian American site, we launched a bone marrow donor cyberdrive. In his rookie season, Jeremy Lin didn’t get too much play time with the Golden State Warriors and was send to the D-League several times. December 2011 was probably the worst time for him after being waived by the Golden State Warriors, then picked up and waived by the Houston Rockets, the picked up by the New York Knicks. In February 2012, we witnessed what became known as Linsanity as Jeremy Lin played against the New Jersey Nets. Some of his better known highlights during his run include the spin move against Los Angeles Lakers’ Derek Fisher and the game winning 3 pointer against Toronto. Needless to say Linsanity caused a major spike on channelAPA.com. Listen to Jeremy Lin’s testimony about Linsanity for his first had account of that magical run. From Linsanity, we saw companies like Nike embrace an Asian athlete with their commercial about Meng Ling : Rookie of the Year in 2030. Also look for Linsanity the movie to hit the screen in 2013. Two years since, channelAPA.com broke the story about revealing the cast of the K-Town Reality Show. The long awaited show made it’s debut online with a slight change in casting with not one, but two seasons. K-Town Reality Show Season 1 revolved around Joe and the crew helping him promote a big club event, while Season 2 focuses on the cast helping to plan Young’s wedding. K-Town Reality Show started at 10 minutes an episode in Season 1 and doubled to about 20 minutes an episode in Season 2. If you haven’t seen the series yet, you’re missing out on lots of drama, drinking, and more drama. Drinking begats more drama. Get to know Violet Kim, Scarlet Chan, Jasmine Chang, Young Lee, Steve Kim, Joe Cha, and Jowe Kyu. 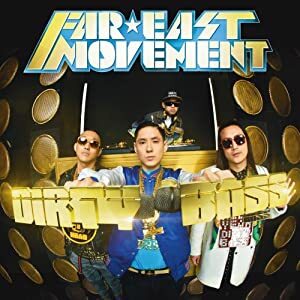 Not only did Far East Movement promote their Dirty Bass album in full swing, but the guys also made the theme song for the cartoon Monsuno. They dropped more tracks and music videos than ever in 2012 with singles including Jello, Live My Life (Party Rock Remix), Candy, Live My Life, Dirty Bass, Turn Up the Love, Change Your Life, Little Bird, For All, Lovetron, Get Up (Rattle), and Christmas in Downtown LA. They’ve been traveling the world spreading the word on the Dirty Bass Movement. What’s next for them in 2013? WWE Diva Gail Kim married chef Robert Irvine (Restaurant Impossible) over the summer. The Food Network Special Wedding :Impossible showed the highlights of their Napa Valley wedding with Irvine leading the charge and his chef friends contributing special dishes. Lots of wonderful dishes and surprises for everyone. Seoul Sausage entered Season 3 of the Great Food Truck race to win their dream truck and cook full time. The first-generation trio of Korean Americans Yong, Chris and Ted sold their signature Korean-style sausages along with other Korean inspired dishes at each leg of their journey. They made their way from the west coast to the east coast to eventually take the win on The Great Food Truck Race Season 3. Seoul Sausage has won the keys to their dream food truck and $50,000 to start their business. Singer Cheesa x Charice collaborated on the single “I’m Not Perfect“. 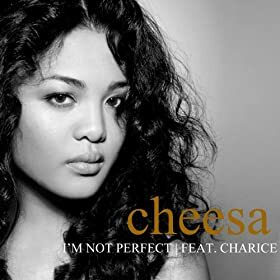 Cheesa appeared on “The Voice” Season 2 with Team Cee Lo and is part of the group A2C, while Charice needs no introduction. The two powerhouse singer combine for a special duet to inspire those who have been underestimated and bullied. PSY seemingly came out of nowhere this year. His music video with unforgettable characters, odd locations, and invisible horse dancing took the world by storm. 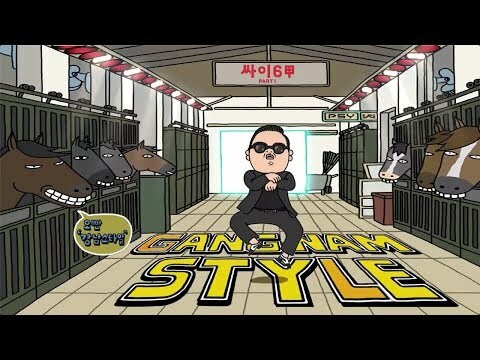 Gangnam Style became the most viewed YouTube video of all time and was the first video to break the 1 billion view mark on YouTube. His music spawn numerous parodies and spoofs ( Canton Style, Lo Pan Style, Gangnam Style by Just Kidding Films, Byuntae Style by David So, K-Town style, and Opo Pinoy Style) and opened many doors with American artists like Madonna and MC Hammer. Never did we think we would hear Kpop music on the American airwaves and around the world. Look for new music from PSY in the coming year. Comedian Steve Byrne brought his sitcom Sullivan and Son to TBS. Much like his own HAPA background, he created a show with a very diverse ethnic mix. His character buys a neighborhood bar from his Irish-American father, Jack Sullivan (Dan Lauria – The Wonder Years), and Korean mother, Ok Cha (Jodi Long – Beginners). Meanwhile, he has an ongoing sibling rivalry with his younger sister Susan (Vivian Bang). What can possibly go wrong running a family business? The show has been renewed for a second season, so look for more Sullivan & Son in 2013. This entry was posted in comedy, controversy, dance, food, history, kids, mashup, music, new york, pittsburgh, school, tragedy, tv, wedding, youtube on January 6, 2013 by Kevin Hsieh - channel APA.